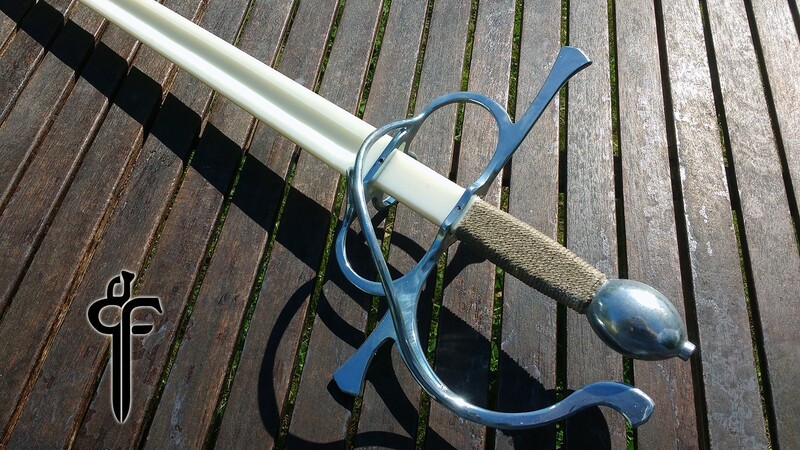 Early sidesword from s. XVI with side rings, front ricasso ring protector and side hand guard. Best quality construction for hard training, very nice balance and flexibility for a great cut and thrust fencing. Detailed info here. Videos here. 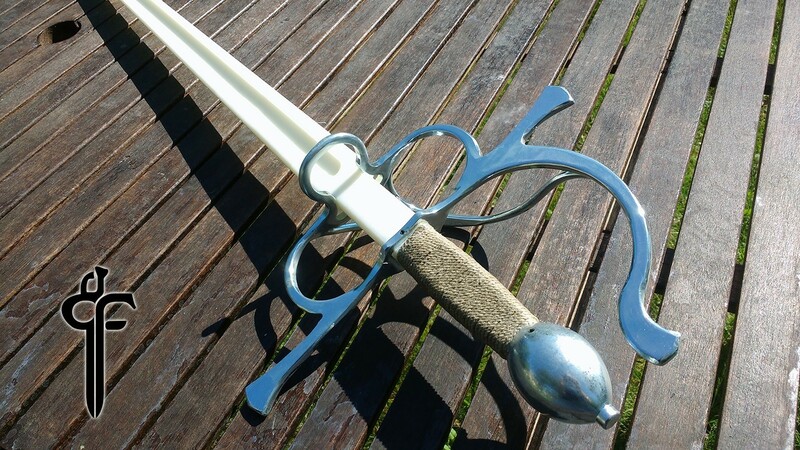 Early sidesword from s. XVI with side rings, front ricasso ring protector and side hand guard. Best quality construction for hard training, very nice balance and flexibility for a great cut and thrust fencing, maintaining the safety of the nylon material, so we can practice Historical Fencing with full force and intent, with minimal body protection. 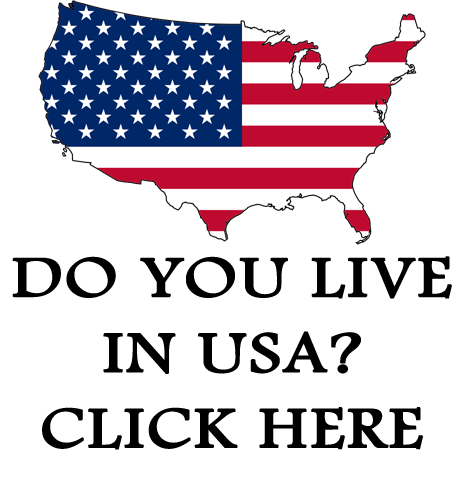 You can read detailed information here. Tests and videos here. STATIC FLEXIBILITY (CLICK HERE FOR EXPLANATION): 10,5 Kg. TOTAL LENGHT: ~ 109 cm. 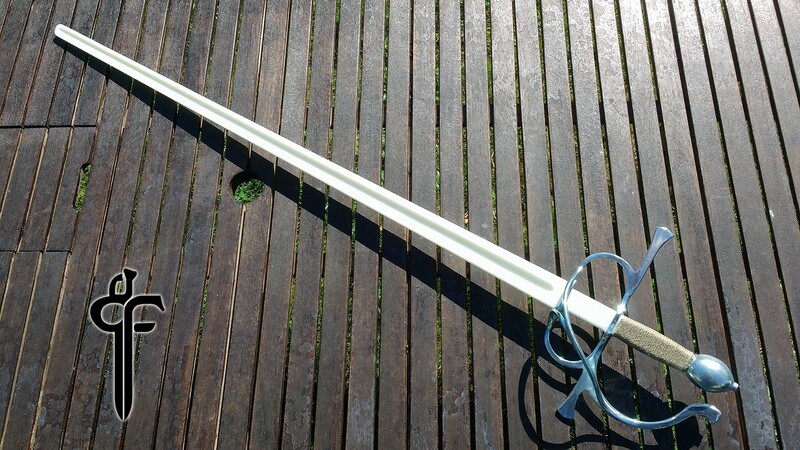 BLADE LENGHT: ~ 95 cm. BASE WIDTH (RICASSO): ~ 4 cm. BLADE THICKNESS: ~ 1.7 cm. - 1 cm.